Automatically detect and calculate clefts, surfaces and void regions in proteins. Surfnet was developed to automatically detect and calculate clefts, surfaces and void regions in proteins. 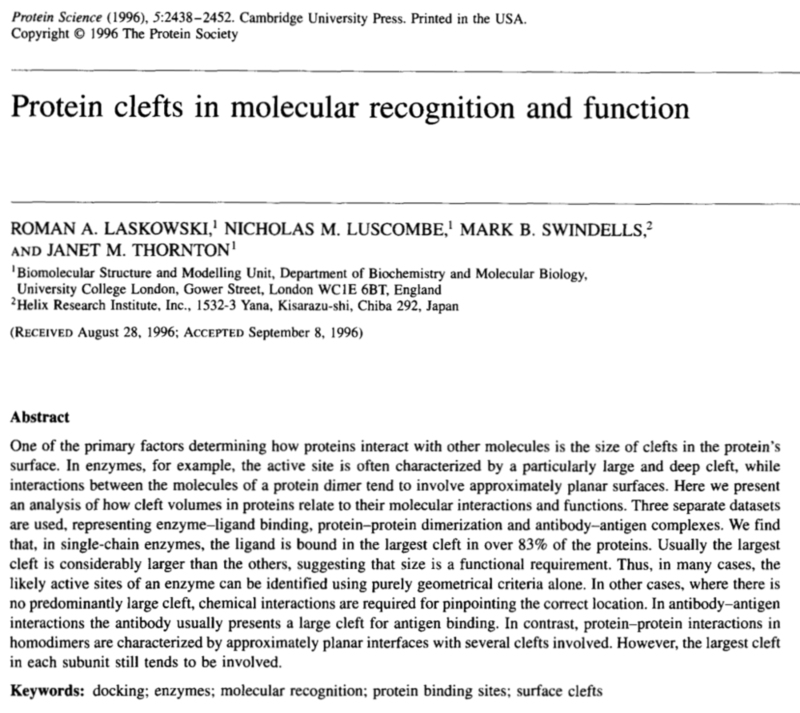 It was one of the first programs to consider protein properties required to preferentially bind small molecules. For more detail see publication. Data input is from coordinate files that follow the true PDB format. This is the original Surfnet program. It is run from the command line. Output is written to a surfnet .srf file. which can then be processed by the supporting tools to compare different sites. For visualisation a .den density file or VRML can be generated. The .den files can be read directly by some 3rd party programs or indirectly using converter programs available in the CCP4 package.